It is capable of handling the high traffic and data-heavy websites. The usage of the NodeJS has been increasing rapidly because of its advantages, most of the big companies(high traffic websites such as LinkedIn, Walmart, Zendesk and many more websites) are migrating to NodeJS. Imagine you're traveling to a destination spot in the car and if you didn't carry the roadmap along with you then I bet you travel experience may not be pleasant as you may travel back and forth and end up in yourself in a different location far from your destination. At the end of the day, you will be reaching the destination spot after a long struggle wasting precious and money. I know you're intelligent, you might answer me saying that I use GPS to reach the destination spot without struggling and wasting time. That's a good idea but while learning programming languages, it is important to have a roadmap along with you. To master in any programming language, learning path is very important. 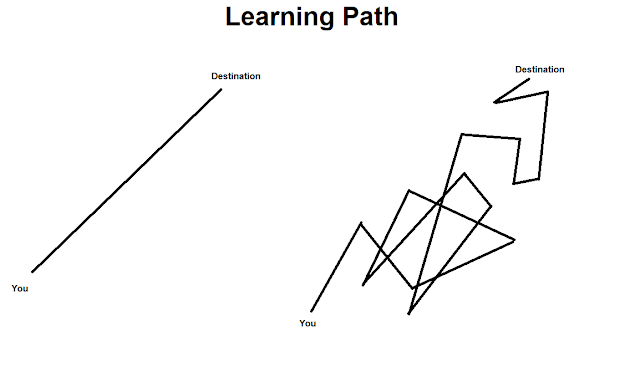 If you don't have popular learning path, you will end up struggling to learn any programming and wasting time. As GPS helps the people to reach their destination. Understand how HTML/CSS are used to define the structure of a web page and try to determine what data is rendered on a web page. It is not mandatory to learn to jQuery but it is recommended because to gain syntax knowledge of jQuery as NodeJS design patterns are similar to jQuery. Having knowledge of AngularJS is an added advantage for you. Then move onto popular topic called Model view controller(MVC) architecture. This architecture helps to create the web applications in an organized and structured way. Try to understand Routes, views, controllers, handlebars etc,. To add additional functionality to your website such as adding Paypal service to your website, you need to learn how to interact with the Restful API or Web service. A web service enables communication among various applications by using open standards HTML, XML, WSDL, and SOAP. Learn Mongoose. Mongoose is Object Data Model ("ODM") which is used to interact with data sources such as Database. Develop a project using the knowledge acquired. Check out the advanced frameworks in NodeJS such as Meteor, MEAN stack development. To master in NodeJS, I suggest building a web application on your own from scratch and host the application on Heroku, Microsoft Azure, Amazon Web Services. 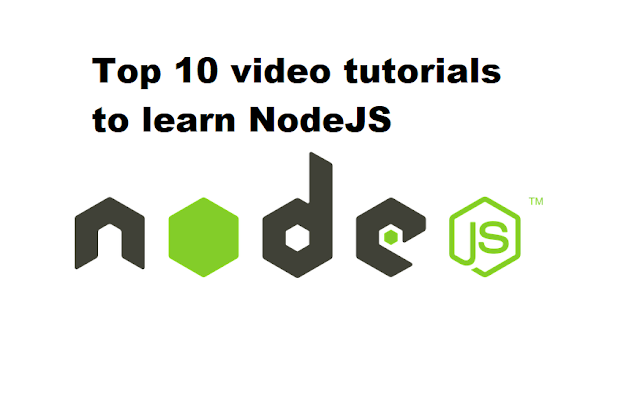 This video tutorial is popular video tutorial over the internet to learn NodeJS concepts as well as MEAN stack development. The instructor explains concepts clearly and easy to understand style. The instructor covers the topic which includes ExpressJS, Socket IO, Testing and many more, you will also learn about what Git, MongoDB, Postman framework, JQuery and a new update on async(node 8). I would highly recommend this video tutorial for those students who are looking to learn MEAN stack development. I bet you won't regret taking this video tutorial. I highly recommend this video tutorial. This video course demonstrated by Andrew Burgess. In this video course, he walks you through the basic concepts of Nodejs, how install express, Request, Response modules, MVC, cookies, sessions and the Database. In this video course, Jonathan Mills cover basic concepts of NodeJs and explain the how to create a restful API with CRUD operations i.e., Create, Read, update, delete with help a Postman browser extension. His explanation clear and easy to understand. This course is for the intermediate. This video course demonstrated by NodeJSfan YouTube channel. In this video course, he walks you through the basic concepts of NodeJS, basic concepts, installing the express and playing with UI and at last debugging and deploying on Azure. This video course demonstrated by Ray Villalobos. In this video course, he walks you through the basic concepts of the NodeJs, installing ExpressJs and routes, how to use the express generator, importing data from the JSON object, then deploying on Heroku. This video course is by Udemy author Sachin Bhatnagar. He starts the video course with usages, applications, the importance of the NodeJs in the Market. In this video course, he walks explain the how the MEAN stack. He then builds two real-time application ChatCAT chat application and PhotoGRID creating a photo gallery. This video course is presented by Vishal Kumar, in this course, he walks you through the MEAN Stack and how also shows you will build MEAN stack with Yeoman faster, create a post and deploying it on the server. Node JS Essential Training is a video source by Alex Banks and in this video course, he focuses the basic concepts global object, core modules, Handling events, ExpressJS and moves on to WebSockets and automating the tasks. This is the best video course by Brad Traversy where you will learn how to build the applications of the NodeJS in the real time. Brad has very great knowledge of using different web technologies. By the end of video course, you will be able to create your own websites and apps.